Marsh, James H.. "Milk River". The Canadian Encyclopedia, 04 March 2015, Historica Canada. https://www.thecanadianencyclopedia.ca/en/article/milk-river. Accessed 24 April 2019. 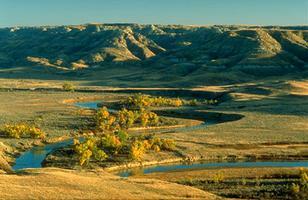 WRITING-ON-STONE PROVINCIAL PARK and a natural area in Alberta protect parts of the river's remarkable landscapes. The American explorers Meriwether Lewis and William Clark gave the Milk River its name (in 1805) because its colour reminded them of a cup of tea mixed with milk. Located in the extreme southeast corner of Alberta, it is the only river in Canada to flow into the Gulf of Mexico drainage basin (Corel Professional Photos). 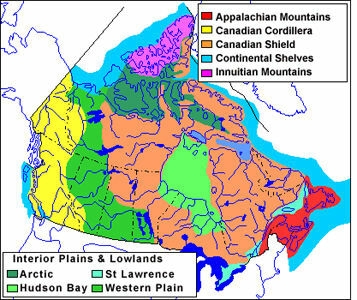 The Milk River, located in the extreme southeastern corner of Alberta, is the only river in Canada to flow into the Gulf of Mexico drainage basin. It has its source in Montana, flows north into Canada and then south to join the Missouri River near Fort Peck, Montana. About 170 km of its total length of 1173 km is within Canada. In Alberta the river cuts a spectacular canyon, 150 m deep and over 1.5 km wide in places, straddling the Canada-US boundary. 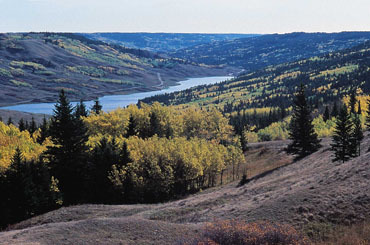 The river is much smaller than its broad valley because it had to handle most of the meltwater of the last continental ice sheet from what is now southern Alberta. Today the river flows through the grasslands NATURAL REGION where precipitation is as low as 200 mm and summer temperatures of 38ºC are not uncommon. The rare geomorphological process of "piping" (water creating tunnels in a collapsed tunnel) along the canyon walls has created a unique landscape of disappearing streams, dry valleys, "sinkholes," blind valleys, waterfalls, natural bridges and caves. The area is also known for its unique HOODOO ROCK formations. 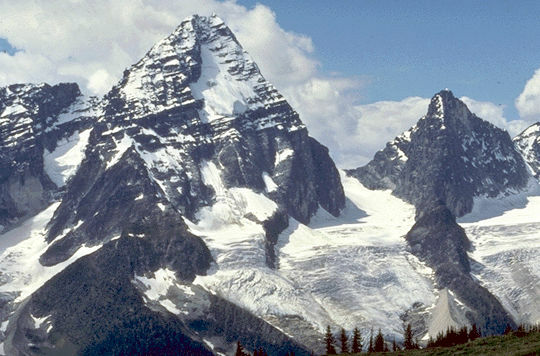 Neil L. Jennings, In Plain Sight: Exploring the Natural Wonders of Southern Alberta (2010).